Resident members enjoy the peace and privacy of their apartments, but also enjoy participating in the frequent community activities. Come join in on bingo, or enjoy our 3 interior courtyards. There are also occasional catered events and many other chances to be a part of a lively community. 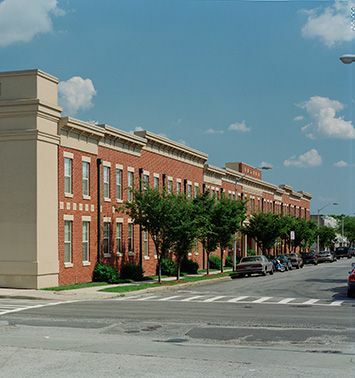 Highlandtown Co-op is located near shopping, John Booth senior center, Enoch Pratt Library, and the world famous Johns Hopkins medical system. The building has quick access to I-95 and I-695. Highlandtown Co-op is proud to be recognized as a NAHMA Communities of Quality Corporate Partner. This designation is for multifamily properties that have achieved a high standard of excellence in the way they are managed, the services they provide residents, the experience and training of personnel, and other criteria.